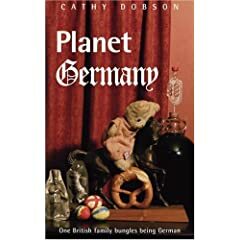 These days I rarely catch sight of an English menu in a German restaurant. We’ve been living here so long, that the waiter normally doesn’t spot us as foreigners – at least until we’re actually ready to order. But this weekend, we had visitors from England, so when the waiter offered an English language menu we were happy to accept. This was when the problems started. “What’s a civic vegetable?” Asked Christine. “A what?” I wondered whether our local town hall had started growing cabbages in its municipal flowerbeds. As ever with strange translations, I had to work this one out by translating backwards. Eventually I came to the conclusion that they meant something like “gutbürgerlich” … so plain, hearty fare. Probably Grünkohl (curly kale). And so it turned out. 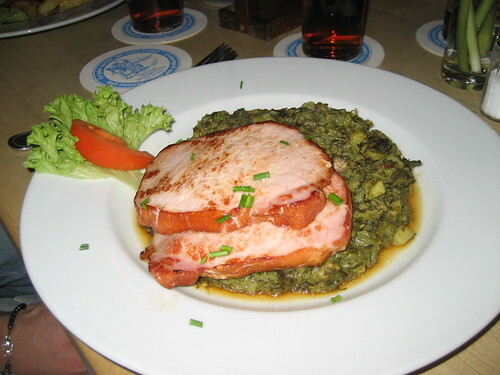 The civic vegetable was a kale and potato hotpot and the “fried pork chop” was actually Kassler… so actually gammon steak. 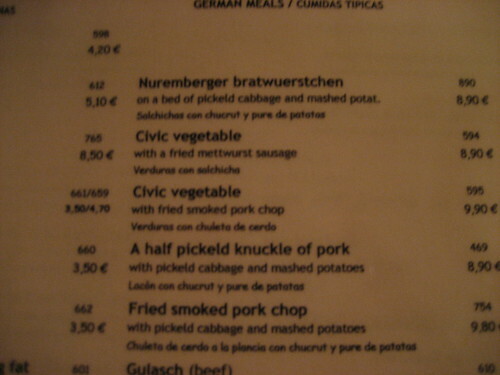 I think I’ll stick with the German menu next time… restaurant English is far too tricky!